SnookiMania? SnookiMania? Why? What did the true WWE Universe do to deserve such horror? Calling it that name is a disgrace to wrestling and definitely the WWE Universe. At WrestleMania 27, Vickie Guerrero will accompany Dolph Ziggler and Lay Cool on their match against John Morrison, Trish Stratus and Snooki. Will the match be any good? I think John Morrison, Dolph Ziggler and the WWE Divas will hold their own, while Snooki sneaks a few shots in. Of course, it is a no-brainer that Snooki pins whomever, thus winning the match. Personally, I think it's a useless match but Snooki at WrestleMania means $$$$$. So congratulations WWE. 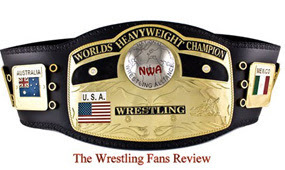 Written by Ernesto Heleno and The Wrestling Fans Review. Picture was taken at WrestleMania 27 Press Conference, at The Hard Rock Cafe on March 30, 2011. Triple H's last goal in wrestling.